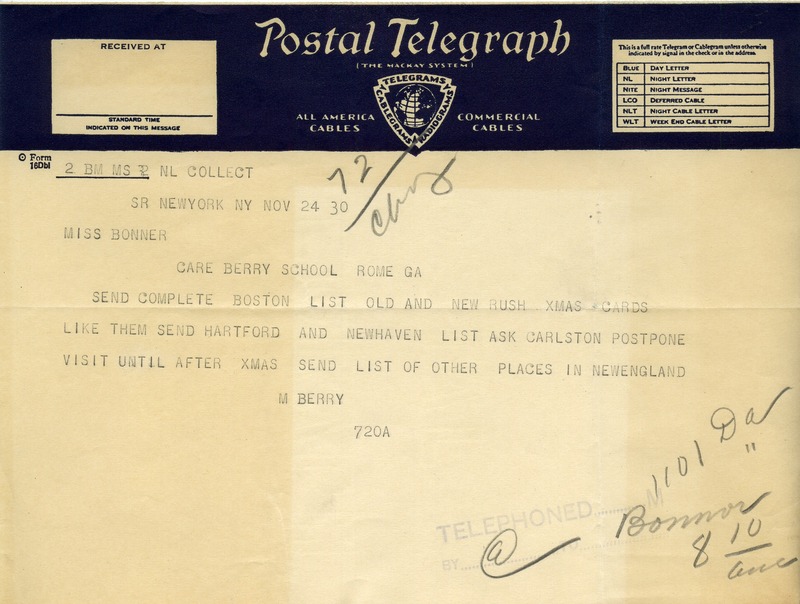 Martha Berry telegraphs from New York to ask Miss Bonner to postpone a meeting and to send contact lists for Boston, Hartford, New Haven, and other places in New England. M. Berry, “Telegram from Martha Berry to Bessie Bonner.” Martha Berry Digital Archive. Eds. Schlitz, Stephanie A., Sherre Harrington, et al. Mount Berry: Berry College, 2013. accessed April 20, 2019, https://mbda.berry.edu/items/show/11798.